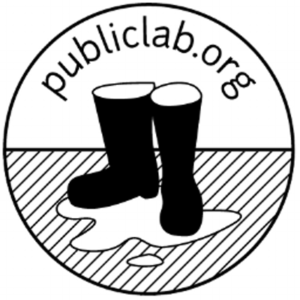 EDGI is fiscally sponsored by Public Lab, a 501(c)(3) non-profit corporation which develops and applies open-source tools to environmental exploration and investigation. The Environmental Data and Governance Initiative (EDGI) is using this funding to continue and expand its very successful work in archiving federal environmental data, monitoring and reporting on changes in federal websites involving environmental issues, interviewing past and present staff of EPA and other agencies, producing analyses of federal environmental reports and rules changes, publishing lay and academic articles on federal environmental concerns, and working with data justice organizations to develop new democratic approaches to environmental data production, access, and use, as well as additional general organizational support. This project involves working to build more organizational effectiveness within EDGI, including working with two consultants with complementary skills. Zulakya Santiago of Libélula Consulting is focusing on EDGI’s internal structure and Susanne Moser is focusing on EDGI’s external relationships with many different audiences and types of organizations. This funding also supported a two-day in-person meeting of EDGI’s core membership. EDGI’s work is funded in part by a grant from the Doris Duke Charitable Foundation. This grant will be used to promote access to government data and information, refine assessments of data vulnerability, and promote social and environmental justice movement building. Our work is made possible through grants and direct tax-deductible donations from the public. Climate Central is partnering with The Environmental Data and Governance Initiative (EDGI) to comprehensively assess which government-based climate science resources (including databases) are threatened and to establish a model and plan for ongoing monitoring and strategic communications that protect vital scientific infrastructure. This grant provided funding for three of EDGI’s core working groups: archiving, website monitoring, and interviewing.